I'd like to speak in the name of most oily-faces girls out there that we're constantly looking for a good matte moisturizer. It's not because we have oily faces that we don't need moisturizer. Au contraire, we need to moisturize our skin as well.We just need to make sure we don't use products that will add oil to out face since we produce enough of our own, but we cannot use too harsh face products that will totally strip the oils of our face. This will cause your skin to dry out for a while, and it may look good for about an hour, but you're giving your skin the message: Oh oh, dry skin? Need to product oil to make it balanced! Do make sure to read the labels very carefully before buying or applying it to your face. I'd say: try, try and try! It's not because a certain product works for your friend that it will work for you as well. Everyone has a different skin type. AND, it's not because one product for person A with oily skin will work for person B as well. 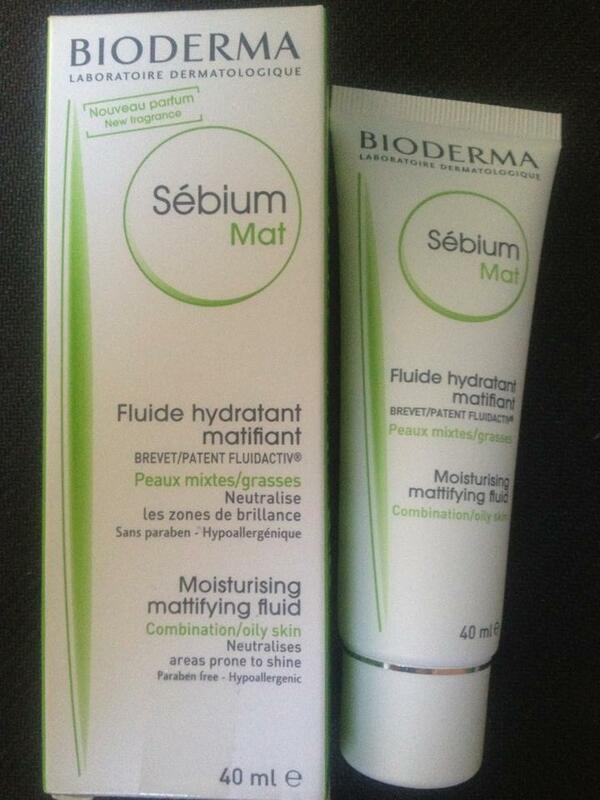 If you haven't heard of Bioderma before, it stands for Biology at the service of Dermatology. They have a wide variety of skin range, color accorded. Check out their website to see what colour range you're in. 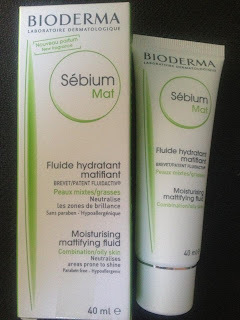 The first time I've heard of Bioderma was when I was in Hong Kong. I saw these translucent bottles with a red detail (indicates sensitive skin) pretty much everywhere. When I came back to Belgium, I did some research to check out what the fuss was about. Turned out they were micellar solutions that cleanses, removes make up from and soothes the skin. I won't get too much into it, but if you'd like to read some more on it, click here. It has the green detail on it which is for those with combination or oily skin. On the bottle it claims to neutralize areas which are prone to shine. Long lasting moisturizing and anti-shine skin care for combination or oily skin. Its fluid texture is quickly absorbed. Does not flake off. The skin remains clear, soft and perfectly matte all day long. It comes out as a white cream, but it's very light and it sinks into the skin rather fast. I apply it on my T-zone every morning and I have to say that I do stay matte for half the day, not for the entire day as it claims to do. I have to admit I'm quite satisfied with it staying matte for half the day, because most moisturizers force me to blot after 2 hours or so. Since this product is only available in certain stores, it's quite difficult to get a hold of it in Belgium. If you don't have very oily skin, give this one a try.